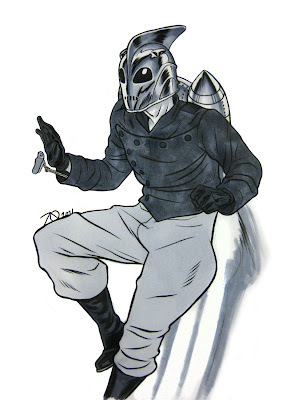 Joe Quinones' interweb-log: The Rocketeer! From Heroes Con, 2011. Pen and ink, copic markers on 9"x12" bristol. Very nice! Does justice to one of my all-time favorites. I'm pretty sure you could a nice job drawing his girlfriend as well. I was just thinking it'd be fun to do a drawing of Betty.